Yay! 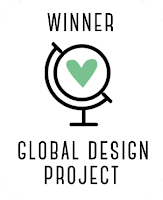 I love the Global Design Project Challenges and it is such a great feeling to be one of the 3 winners amongts so many talented cardmakers! 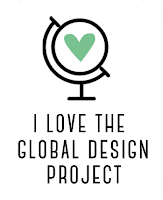 Do yourself a favour and hop on over to the Global Design Project for inspiration! The previous week I was fortunate enough to earn a Special Mention Badge for another card! Yay again! Today I'm sharing a card featuring a sentiment from the Rose Wonder stamp set and I think it says it all. Now all I need is a pair of Newly Weds! For the tiny flower bouqet image from the Love & Affection Photopolymer stamp set, I used Stampin' Write Markers (Sweet Sugarplum and Mint Macaron) to colour the stamp. Remember to "huff" over the ink before stamping - this is to moisten the ink again. Does this make any sense? I love using Vellum whenever I want to showcase something, without taking too much away from the background. With the beautiful Blooms & Bliss Designer Series Paper it was possible to create a quick card by adding only a stamped sentiment! As always I hope you like it! Comments are always welcome and very much appreciated! If you would like to Pin the image, just click on the image and Pin away! For a card that was on the easier side to make it is truly gorgeous. Thanks Tracey! Credit goes to the DSP!